Unlike most lawn service programs that depend on chemical treatments, we plant superior hybrid grass varieties that have strong, deep roots that choke out weeds and naturally resist diseases and insects… giving you a thick and lush lawn with minimal use of chemicals. Every lawn is different. We provide prompt, effective service designed to fit your lawn’s unique needs. We offer 3 programs to fit your lawn’s needs and your budget — a one-time fix-up, basic service and full service lawn care. Stronger grass means you’ll need less and less pesticides to keep your lawn lush and beautiful. Our Integrated Pest Management (IPM) Program gives you a thick and lush lawn without repeatedly blanketing your yard with chemicals. Don’t pay too much for your lawn care. Our Full Service program includes most of those “extra” treatments other providers suggest. Check out our programs in your area. 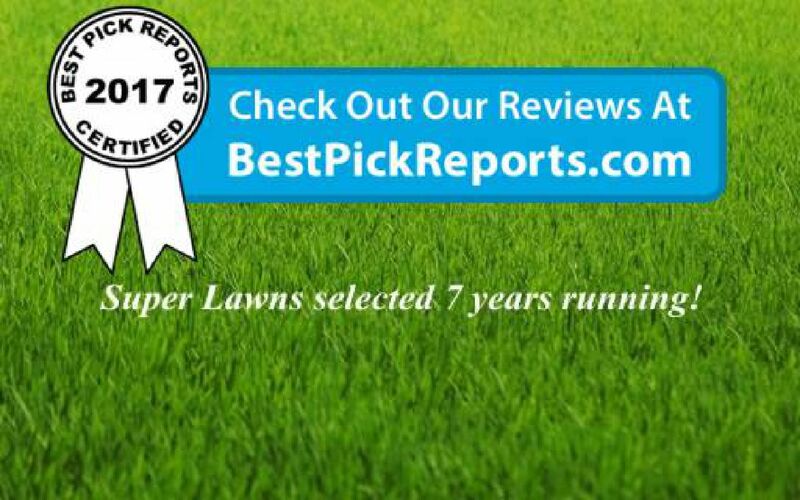 Super Lawns is a locally owned company. Unlike the national competition, we’re part of your neighborhood – we live here too. Call us, we’re right around the corner. Our intense attention to detail allows our lawn care professionals to succeed no matter type of lawn you have. High-quality organic-based materials, applied with our expertise, give you a lush, green, healthy lawn. Our full-service program includes two rounds of seeding, and everything else your lawn needs to look its best. Buy with confidence and a 8 year EBSCO winner. Doesn't your lawn deserve to be a Super Lawn! EBSCO "Best Pick" 8 years running! * Not all Service Plans are available in all locations.